Coimbra, Rui Barreiros Duarte, ink on paper, 2011. “We drove along the Mondego river whose broad bed displayed more dry sand than running water. Yet, what freshness and forest charm all around! The city rose as the loveliest flower in the whole bouquet. Coimbra rests upon the mountain side, one street higher than another. The streets are narrow, crooked, and rise continually. Shops and bookstores are here in abundance. From the cloister of Santa Cruz the streets ascend towards the university, an extensive building that occupies the highest site in the city. Up there, through the dilapidated walls of the fortress, one enters the botanical garden, which is rich in rare flowers and trees. It’s a plot worthy of Shakespeare. Pedro, the crown prince, falls madly in love with a noble lady called Inês de Castro. His father, King Afonso IV, opposes this liaison. Pedro ignores the king’s will and has four children with the captivating Inês. In 1355, King Afonso IV orders that Inês be put to death. According to legend, a fountain sprang from the last tears that Inês shed in Quinta das Lágrimas (the quinta of tears). 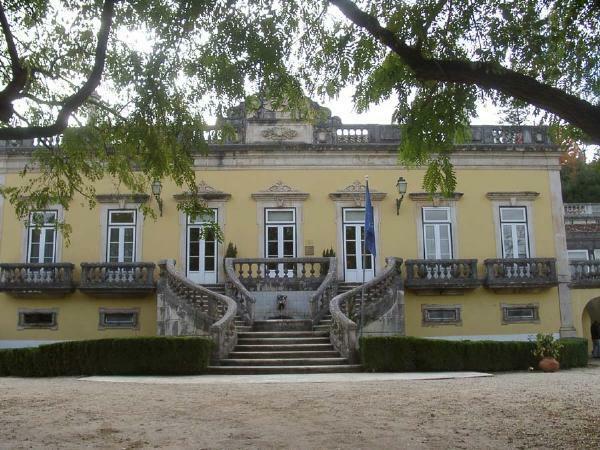 In the 18th century an elegant palace was constructed on the quinta. This palace has recently been converted into an exquisite small hotel. Don’t be surprised if you find yourself writing a novel during your stay. Rua António Augusto Gonçalves, P-3041-901 Coimbra, tel. (239) 802 380, email: comercial@quintadaslagrimas.pt, click here for website.